Please review the image below for parking at Liquid Therapy! 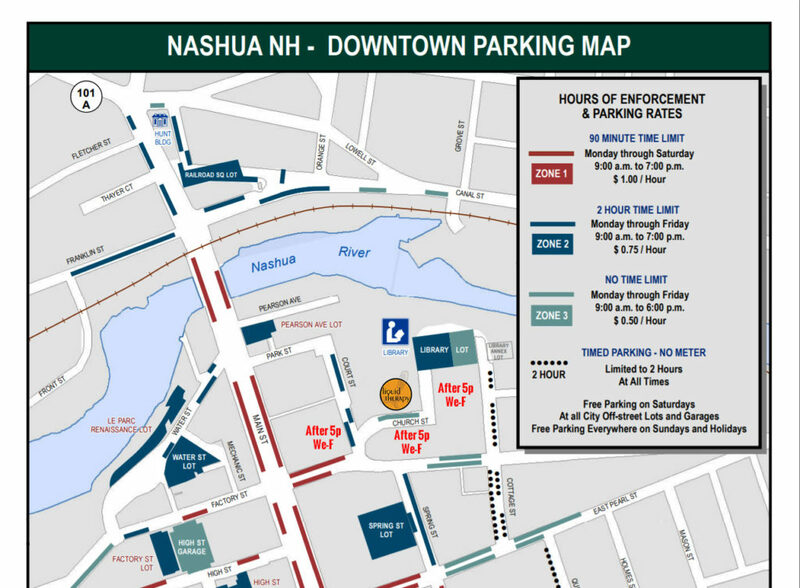 Parking is available for you at any city metered on-street or lot location. Parking in any RJ Finlay-owned lot is strictly prohibited until after 5p Wednesday thru Friday. If at any other time there are open spots in any of these 3 lots, they have been gracious enough to allow our patrons to park there. If you have any other questions, please contact us to clarify!